I am a little partial to Pan Asian cuisine, I must confess. After Indian ghar ka khaana aka home cooked food, it is my favourite cuisine. The sheer variety, usage of spices, unusual flavours, cooking methods, appeal to me and make we want to eat more of it. 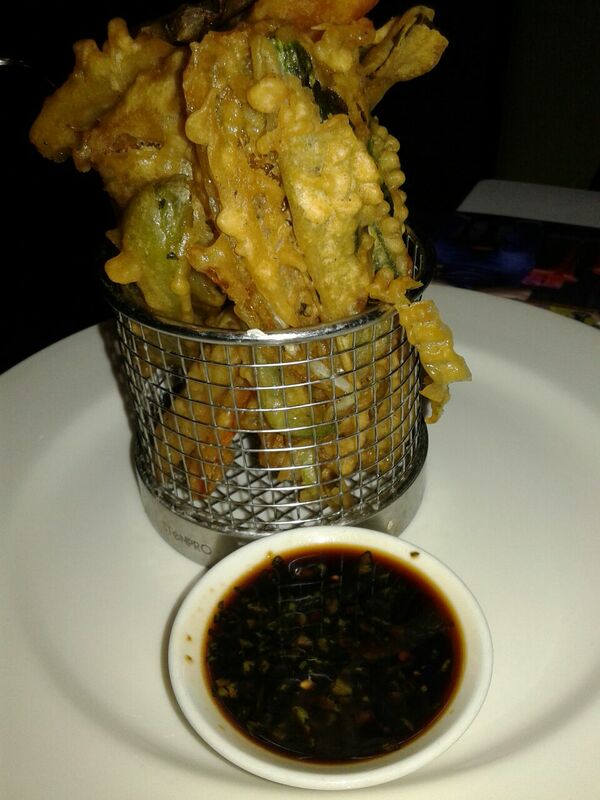 The new menu at Shiro, unarguably, one of the finest places for Pan Asian cuisine in Mumbai, beckoned me. I was informed that some of the classics and old favourites had been retained but almost 40% of the menu was new inclusions. That sounded exciting. Shiro’s decor and interiors always have a calming effect on me. Something to do with the Zen ambience, I guess. Our Sushi and Maki rolls arrived. Aesthetically presented as ever. The crispy duck maki rolls got my instant vote. The texture was unique, as were the flavours. The Chicken summer rolls from Vietnam are my all time favourites and Shiro offers the best ones. The shredded chicken, herbs, peanut hoisin sauce filled in rice paper rolls are light and mouth-watering. It is the simplicity in the flavours which sets them apart. The Chilean seabass with lime reduction tantalized my palate. The light but distinct flavours, were comforting. The fish was fresh and I loved the way the texture was kept intact. Absolutely melt in the mouth. The Miso black cod was delightful. But the sweet potato mash served alongside got brownie points instantly. With each dish, the degree of innovation in the new menu struck me as commendable. The Chefs had put in a lot of thought. The skewers were equally a treat. Loved the subtle Thai flavours. These live grills are a new inclusion and a welcome addition to the menu, I can assure you. 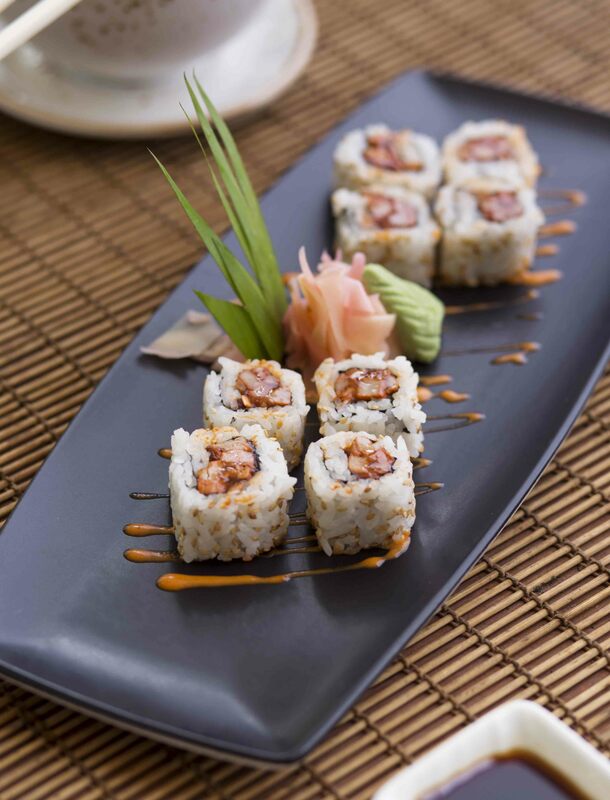 Quality ingredients, palate tingling flavours and a plethora of choices, characterize the new Shiro menu. Our main course was served. Chicken Massaman curry, garlic fried rice, Yaki udon noodles, prawns and assorted mushrooms with spicy thai herb sauce. We were spoilt for choice. The use of garam masala in the Massaman curry fascinated me. A striking similarity to Indian cuisine, I thought. And yet the masalas were not overpowering. The medley of mushrooms was exotic to say the least and paired well with the noodles and rice. Aromatic all the way.A perfect recommendation by the Chef. I was satiated and yet, craving for more. Vegetarians need not despair. Plenty of exciting options for them too in the new carefully planned menu. It was dessert time. 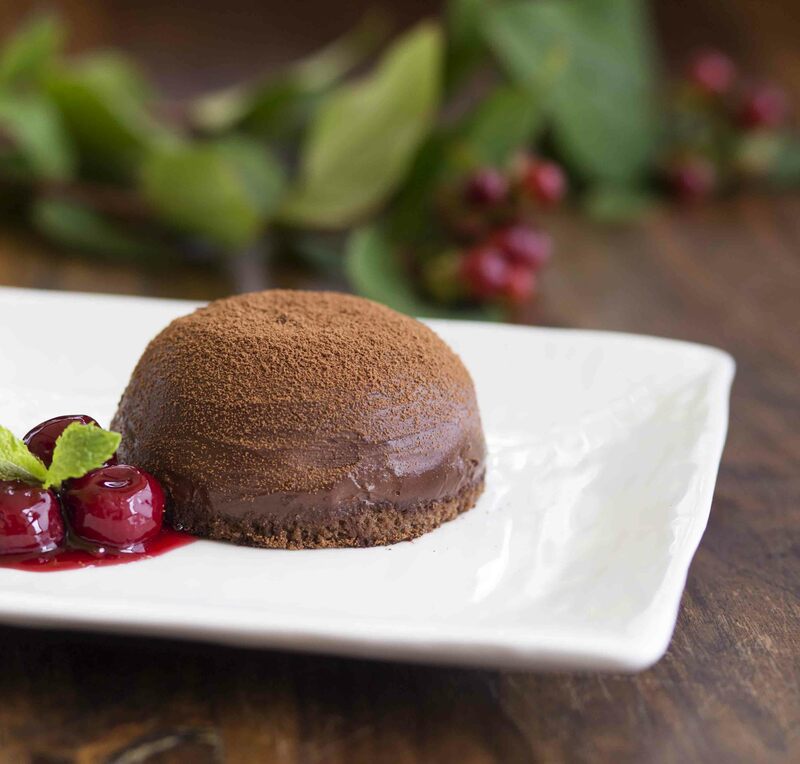 The chocolate and sour cherry dome bowled my taste buds completely. A work of art on plate it was. It literally exploded in my mouth unleashing a burst of chocolate and sour cherry.It was an outstanding combination. Undoubtedly my favourite dessert at Shiro, hereon. It was one of the most memorable meals I have had in a long time. 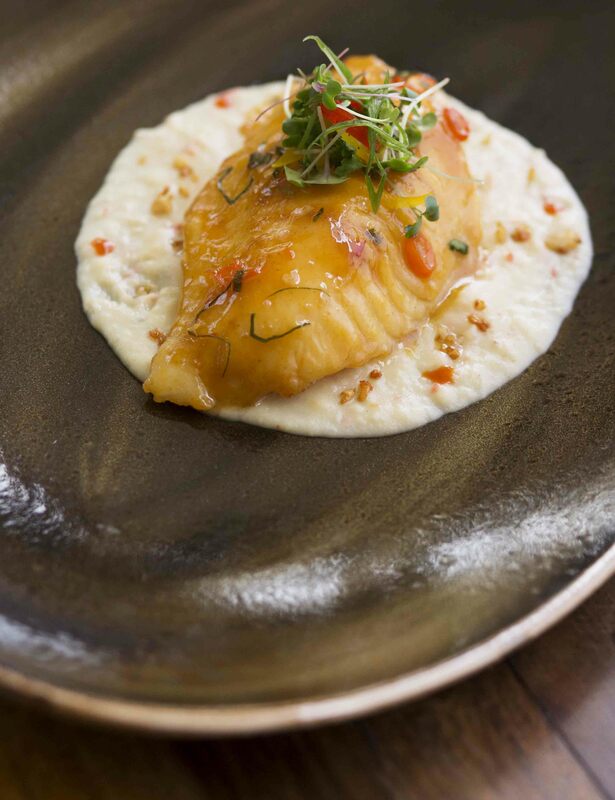 Impeccable service, warm hospitality and an absolutely sublime dining experience. For us carnivores, the prospect of eating Vegetarian food and that too Pan Asian is daunting. But a visit to 38 Bangkok Street has made me think again. An eatery which throws up a host of flavours, textures and aromas by way of variety in the all -Veg menu. The menu is exhaustive, well thought of and an exercise in choices. 38 Bangkok Street specializes in Pan Asian Cuisine – salads, curries, woks, noodles from the streets Thailand, Japan, Korea, Malaysia and Vietnam to name a few. The best of all these cuisines, in nutshell, is on offer. 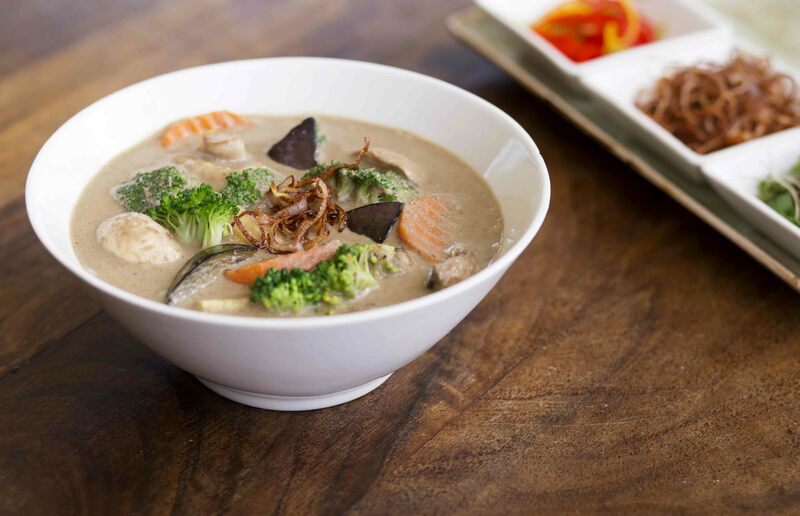 Our Laksa Penang soup arrives. The waft of the lemon grass and kaffir lime leaves pervade pur nostrils even before we taste it. The first spoonful and we are reassured it is the real thing. High quality ingredients in a bowl of heavenly soup. A great start. 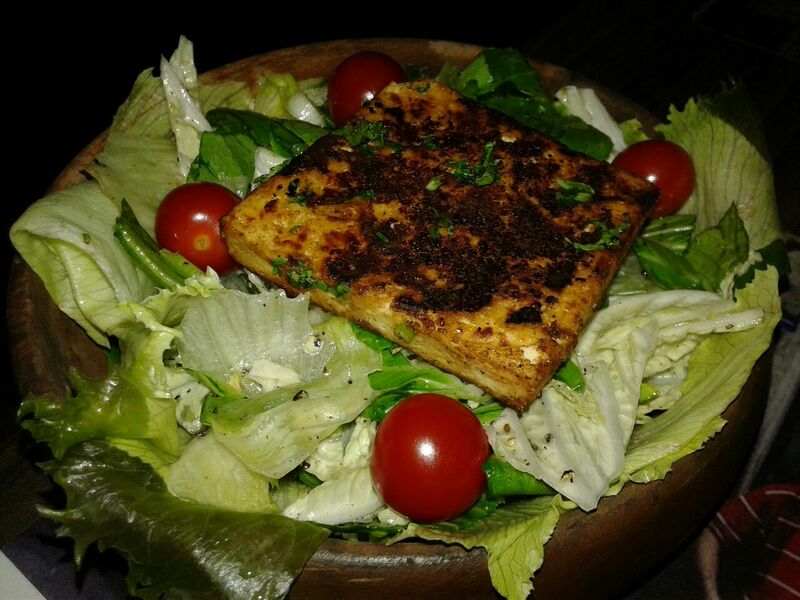 Grilled tofu over a bed of Asian greens- our salad arrives next. It is light and flavourful and perks up our taste buds further. The greens are fresh and crunchy. I particularly enjoy the silken tofu which is grilled to perfection. The fried Yasai tempura took me by surprise. Crispy, crunchy and flattering for my taste buds. Loved the vast array of exotic veggies that were used. Had to compel myself to stop, else I would have happily polished off all of them. The water chestnut dim sums were delectable. A nice moist covering and the filling too was crunchy owing to the water chestnut filling. Could have been a bit less spicy though. The accompanying sauces too were interesting. The banana leaf wrapped cottage cheese was a tad disappointing. A bit too bland and the cottage cheese texture too was a bit rubbery. The options in the menu were ample. Unique Asian starters like the Crunchy Java Lotus Stem tossed with ginger garlic, Mock Duck Chilli Garlic, Cottage Cheese Sambai Bajak tossed with bell peppers and homemade Malaysian style fresh red chilli sauce etc. The presentation of each dish served struck me as elegant and aesthetic. The chef obviously had an eye for detail. Our main course comprised Tek Tek noodles, Nasi lemak and a spicy red curry, Sambal Bajak. The fragrant rice steeped in coconut milk and the Sambal curry got our unflinching vote. One of the best curries I have ever tasted. We did not miss non-veg at all for once. The noodles were nothing to write home about. Strictly ordinary. The entire meal was overwhelming, in terms of the quality, variety and flavours. I had never enjoyed a Pan Asian meal which is vegetarian, to such an extent. The service too is prompt and the place has a nice family ambience. Our dessert was a pumpkin coconut cake with a dollop of vanilla ice cream. The cake was soft and moist and absolutely melt in the mouth. Full marks there too. 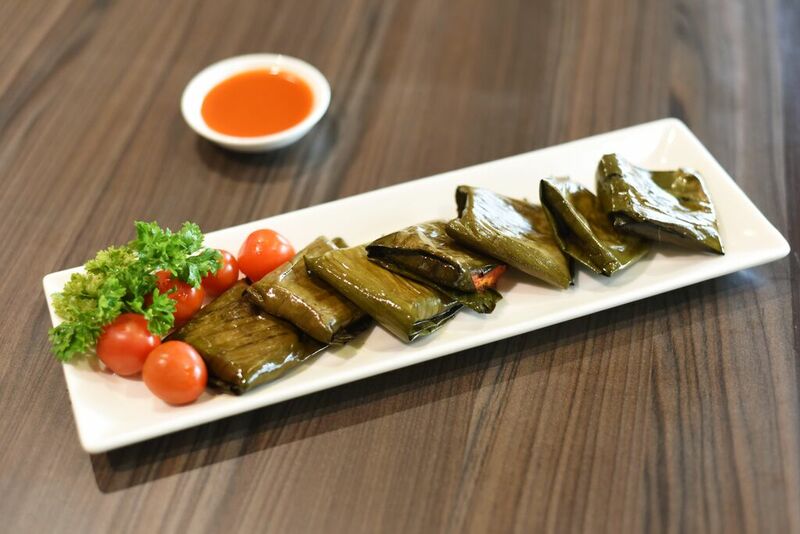 The zesty flavours of the fare at 38 Bangkok Street had tickled our palates beyond a doubt. We will surely be coming back soon for some more. Juices can be so refreshing. And if these are healthy and free of artificial colours and preservatives, one can gulp them guilt free. That is exactly what I did with the JusDivine range of juices. JusDivine contains pure raw ingredients, extracted using the world class Cold-Press technology. The vegetable and fruit juices have all the flavours, nutrients, enzymes, proteins and minerals intact in the finest and most natural form; making it easy to digest. It is almost like eating a whole fruit in a juice form. And there is something for every palate. The wide range of flavours with a mix of fruit and vegetables ensures every one can enjoy something as per their preference. Mixed fruit, Orange, Pineapple, Apple-Beetroot-Carrot, Apple-Kale-Spinach, Apple-Pineapple-Wheatgrass, Pineapple-Carrot-Ginger, Pineapple-Pomegranate-Celery, Pineapple-Pear-Ginger-Spinach, All Veggie mix, Almond-Chocolate-Coconut, Coconut Kokum and Almond-Coffee-Date. That is how exhaustive the range is. I had a tough time picking up a few favourites to try. The Apple-Beetroot-Carrot,was literally divine. Packed with nutritive and healthy ingredients, it had the goodness of fruits and veggies and lived up to its promise. Orange was refreshing and paired well with my breakfast. In the mixed fruit juice, for once you could actually taste the fruits. Each one distinctly. The freshness came through in each sip. The Pineapple-Pear-Ginger-Spinach, was an absolute treat. No artificial sweetness. That’s what I loved about this. The ginger gave it a dash of spiciness, good for the throat in this season. The cold-press technology involves slowly grinding and squeezing the fruits instead of putting them through extreme conditions like cutting or heating. That’s what sets the JusDivine juices apart. 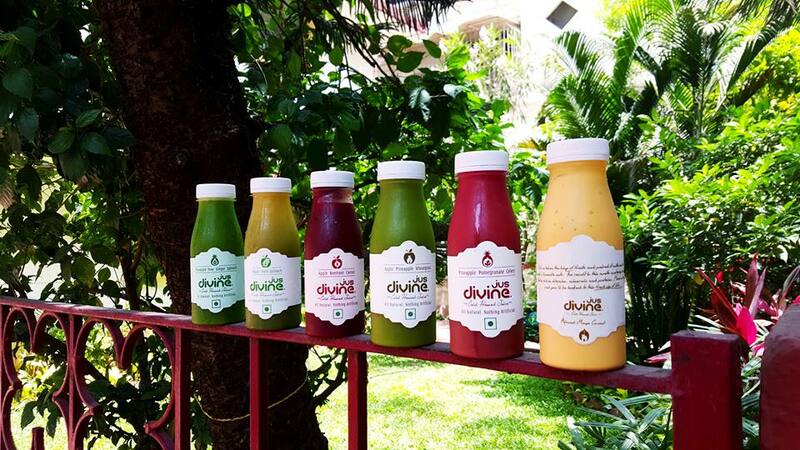 With a manufacturing plant designed by leading professionals in the F&B industry, JusDivine products are manufactured in highly sanitised environment to produce highest quality of juice. A product of Food Ideas Pvt. Ltd., these juices are from India’s first corporatized fresh juice manufacturer. Although these hit the market in May last year, I some how tasted these only recently.Must laud the efforts of the co-founders, food and health enthusiasts, Vishal Jain and Nidhi Sharma. I have a fetish for Afternoon tea. Something I have fancied right from my Enid Blyton days. So an invitation for High tea at Gaylord Mumbai, an iconic restaurant excited me no end. 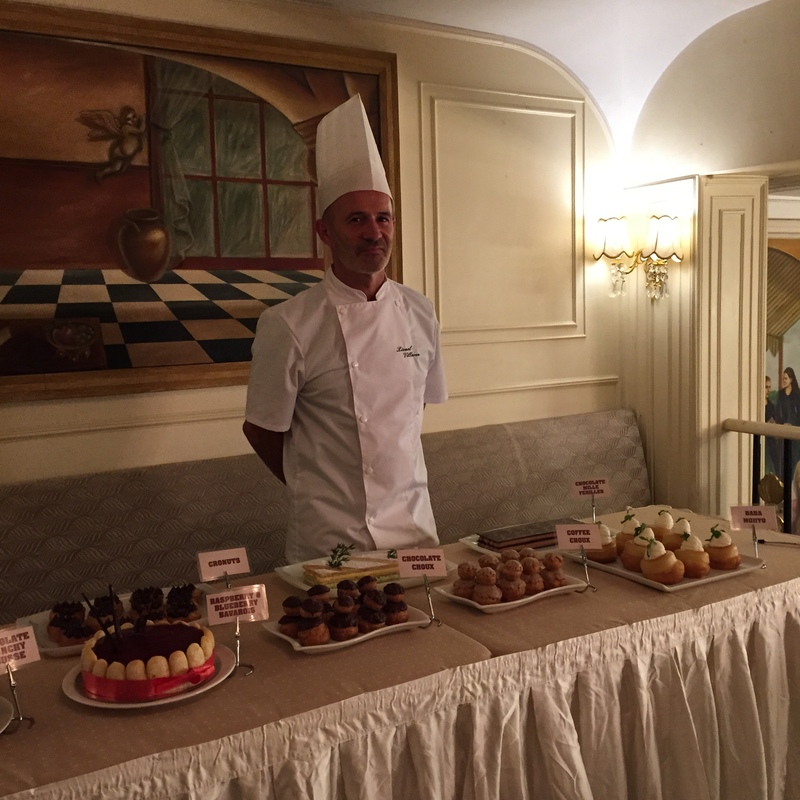 And to make it even more exciting was the fact that Chef Lionel Villaron, a famed pastry chef from France was the chef in the kitchen, whose delicacies, we were to taste. 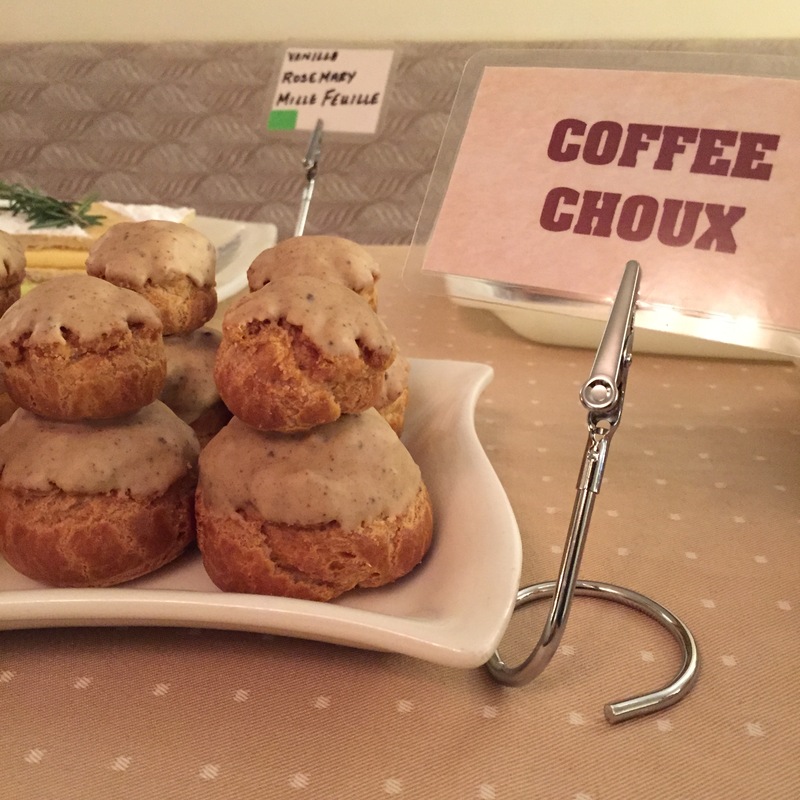 I began with the coffee choux, my favourite. The appearance was inviting and the first bite, set my taste buds tingling. oved every bit of this dainty treat. Chocolate Mille Feuilles, were equally delicious. The mille-feuille, vanilla slice, custard slice, also known as the Napoleon, was well made. Chef Lionel had done justice to this French classic. In between sips of tea, I chatted with Chef Lionel who told me he loves to keep his pastries simple and enjoys working with fruits in puree form. He lauded how the taste buds of Indians had evolved and thus it became challenging to wow their palates now. His 25 years of experience comes handy no matter where he is. The cronuts too did not disappoint but the highlight were the Raspberry and Blueberry Bavarois. This decadent dessert with whipped cream and fruits, took me by surprise. An absolute treat for the palate. 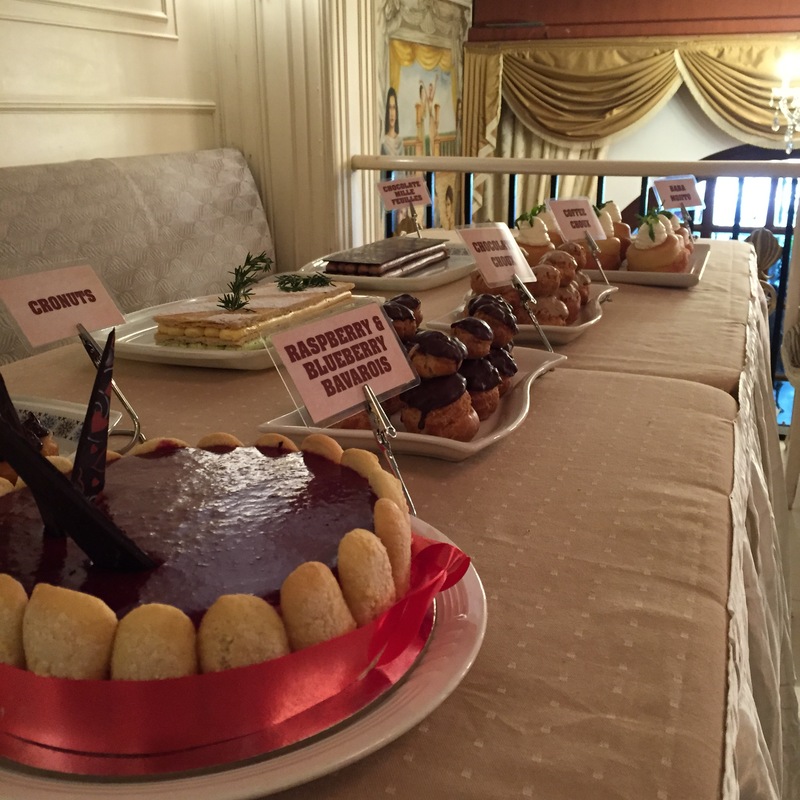 Baba Au Rhum and Chocolate crunchy mousse were also on offer. This was pure sin. Having gorged on so many delicious treats, I knew I’d have to walk that extra mile the next day, but I did not seem to mind. Nothing could keep me away from these tasty treats. With perfect hospitality at Gaylord and the delectable spread from Chef Lionel, I had an enjoyable evening.